The 34th Infantry Division "Red Bull" Band provides music throughout the spectrum of military operations to instill in our forces the will to fight and win, foster the support of our citizens, and promote our national interests at home and abroad. Officially organized 30 April 1900, the 34th Infantry Division Band has proudly served state and nation for over 114 years, seeing service in WWI, WWII and the Global War on Terrorism. Whether performing for the public, supporting military ceremonies, or entertaining US Service members and our allies the Soldier-Musicians of the Red Bull Band are honored to serve in one of the US Army's most respected Divisions. In recognition of the achievements of the 34th Infantry Division Band the unit has earned the French Croix de Guerre (WWII), the Meritorious Unit Citation (Iraq), and the Colonel George S. Howard Citation for Musical Excellence. 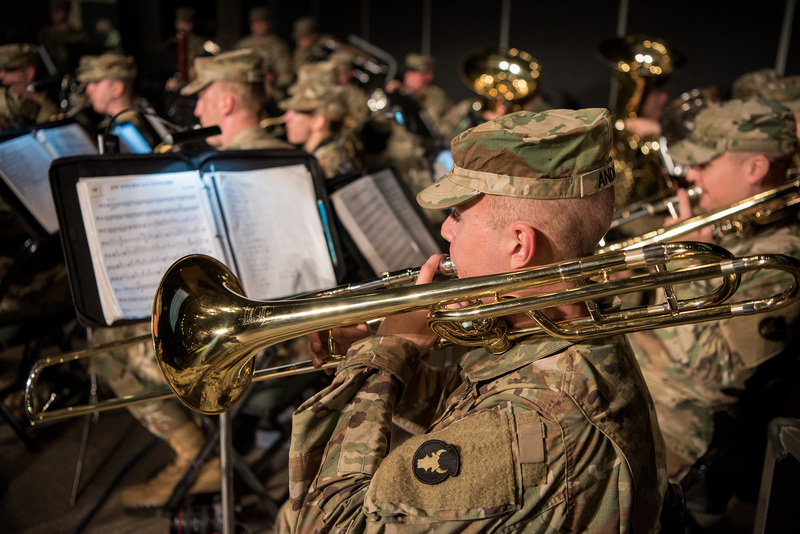 The 34th Infantry Division Band maintains an active performance schedule, to include many free public performances throughout the state of Minnesota. The Red Bull Band has been a featured group at the Minnesota Music Educators Conference, the Minnesota Band Director's Association Summer Workshop, as well as the International Tuba Euphonium Conference where the band accompanied 6 internationally renowned soloists. Other events include: Minnesota State Fair, Minneapolis Aquatennial, St. Paul Winter Carnival, Anoka Halloween Parade, and Vikings, Twins, Wild, University of Minnesota Gopher and Timberwolves sporting events. As a US Army Band, the unit is available upon request to perform concerts, clinics, classes, presentations and joint performances completely free of charge. Although the unit makes every attempt to support every request, due to the high volume of inquiries requests are granted on a first come-first served basis. It is recommended to submit requests as far in advance of the performance as possible, however, all requests will be considered. Please contact the unit for more information.